Product prices and availability are accurate as of 2019-04-23 01:45:36 EDT and are subject to change. Any price and availability information displayed on http://www.amazon.com/ at the time of purchase will apply to the purchase of this product. 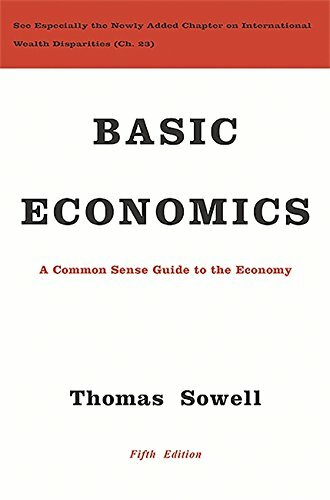 Basic Economics is a citizen's guide to economics, written for those who want to understand how the economy works but have no interest in jargon or equations. Bestselling economist Thomas Sowell explains the general principles underlying different economic systems: capitalist, socialist, feudal, and so on. 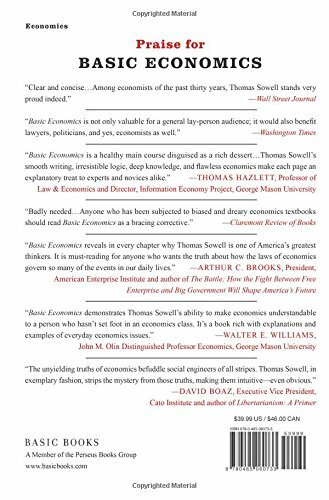 In readable language, he shows how to critique economic policies in terms of the incentives they create, rather than the goals they proclaim. With clear explanations of the entire field, from rent control and the rise and fall of businesses to the international balance of payments, this is the first book for anyone who wishes to understand how the economy functions. This fifth edition includes a new chapter explaining the reasons for large differences of wealth and income between nations. Drawing on lively examples from around the world and from centuries of history, Sowell explains basic economic principles for the general public in plain English.